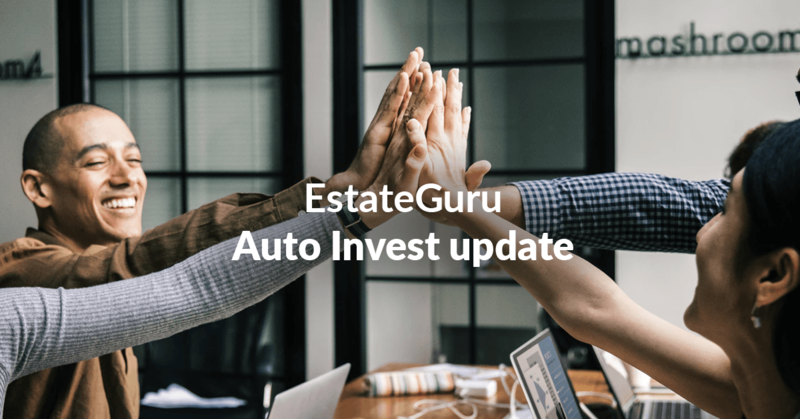 EstateGuru team is glad to present to you two significant changes in the Auto Invest feature, which have been created alongside our users. As a pilot project, we are lowering the limit for setting the Auto Invest criteria to €250, in exchange for the current €500. This will be applied until the end of the current year. During this period, we will monitor the effectiveness of the new criteria and decisions concerning the following changes will be made in accordance with the users’ satisfaction. The change is implemented to encourage our investors to build a more diversified portfolio and give more investors the chance to build their portfolio automatically, while using loan criteria that is preferred for them. Moreover, now our investors get the chance to use Auto Invest feature to invest into loans with the period of 18 months. All investors can easily activate, adapt and deactivate their Auto Invest from their virtual account’s settings.